Profile: Saloni Parikh meshes computer-science skills with public-health passion. To stay sane, she says, she dances. Saloni Parikh combines a passion for public health with talent for computer programming. As an undergraduate in the interdisciplinary honors program, she's already making an impact. For a global health study in Kenya, Parikh helped develop a mobile application that allows healthcare workers to track pregnant mothers with HIV. 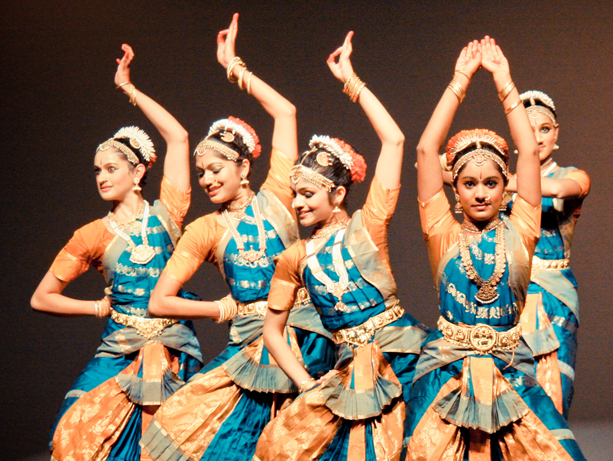 And when she's not studying or Skyping overseas, Parikh competes on the UW's Indian classical dance team. "The study coordinators were busy for the summer, so Dr. (Carey) Farquhar asked me if I'd be interested in going to Kenya to conduct training. My jaw dropped," Parikh said. Q: Why did you decide to double-major in public health and computer science? A: I really wanted to be a doctor, like my dad and grandfather, and liked the idea of being immersed in a healthcare setting. A lot of the girls on my dance team were public health majors, so I started taking public health classes and really enjoyed them. At the same time, my older brother, who was pre-med, took a computer science class. I looked at his homework one day and thought, 'That looks interesting.' I started taking a few classes. I was working at the Kidney Research Institute at Harborview and started writing simple, small programs. I fell in love with it, and liked the idea of combining these two subjects. There's so much potential to utilize technology, especially for health. Computer work can be tedious, but I always think of the end goal. That's where my true passion lies. Q: What drew you to global health? Saloni Parikh loves the storytelling component of Indian classical dance. Dance photos by Tim TanWhat project did you work on? "It's kind of like the Indian version of ballet," Parikh said of her dance. Saloni Parikh participates in a classical Indian dance. A: I was kind of that middle person, meeting with the global health folks and figuring out what they wanted, and working in my computer lab to determine what was possible. I used Open Data Kit, which allows you to create customized data-collection forms without any sort of technical background. I designed forms, created a workflow design, and helped launch the application so they can screen patients, follow-up with them and send data to a server. The data will be used by biostatisticians and epidemiologists. Q: Did you see how the program worked in the field? A: The study coordinators were busy for the summer, so Dr. Farquhar asked me if I'd be interested in going to Kenya to conduct training. My jaw dropped. It was a once-in-a-lifetime opportunity. I was there for three weeks in Kisumu, in western Kenya on Lake Victoria. I trained the data manager and about 10 community health workers and nurses on Android debugging tools, how to use the application and what to do if the connection to GPS fails. Q: Where does the project stand now? A: We've enrolled nearly 300 pregnant mothers and they're starting to do some follow-up visits. Right now, I'm working on a health-education application that prompts the counselor to talk about certain things with the mothers. There are always things to keep working on. A: I'll need a fifth year to complete my double-major. After that, graduate school. I'm interested in clinical informatics and mobile health. Q: Talk about your passion for classical dancing. A: I've been dancing for 13 years. I'm on the UW team called Natya, which is Sanskrit for dance. I started learning Bharatanatyam, one of eight forms of Indian classical dance. I loved the storytelling component to it because it's a really expressive art form. It's kind of like the Indian version of ballet. That was my way of connecting to my Indian culture and learning about Hinduism and Hindu mythology. A: Six days a week for two or three hours a day. I've never met such a hardworking group of girls. I also work on choreography and there's a lot of admin stuff. We take part in competitions and performances and travel. We just placed third at a competition at Georgia Tech. I guess it keeps me sane.